- a special place for children with life-limiting illness and their families to relax and create happy memories together. 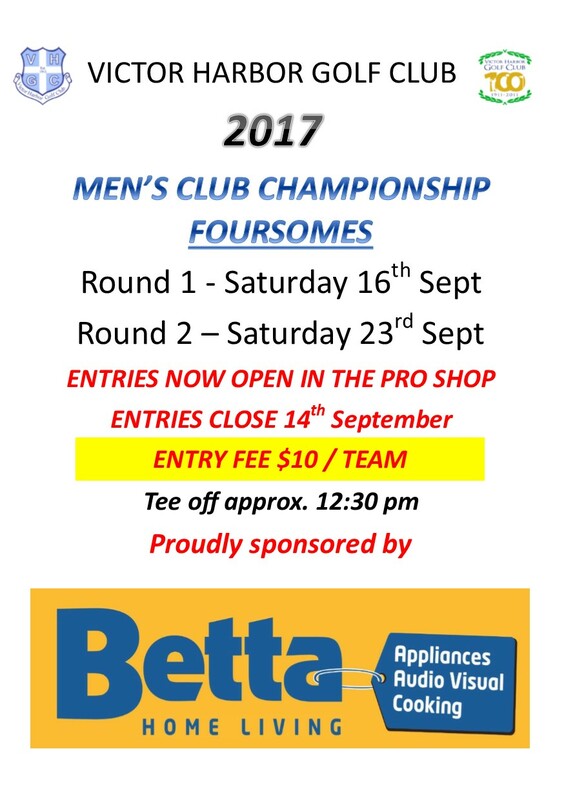 Open to all golfers who hold a current golf handicap. In 2001 the Ladies played against the Men in a Stableford competition with the average score being the deciding factor. After that competition they burnt the score cards and placed them in an Urn. Since 2001 the Ladies have only won it once in 2002! Anzac Day is one of Australia’s most important national commemorative occasions. It marks the anniversary of the first major military action fought by Australian and New Zealand forces during the First World War. OPEN TO MEMBERS, DEFENCE FORCE PERSONNEL (EX & SERVING) & NON MEMBERS WHO HAVE RECOGNISED GOLF AUSTRALIA HANDICAPS. MEN’S A, B & C GRADE COMPETITION WINNERS AND BALL RUN DOWN. PLUS PRESENTATION TO BE MADE TO BEST SCORE ACHIEVED BY A DEFENCE FORCE PLAYER. Register and pay in the office by close of business on Wednesday 11th February 2015. Contact the office on 08 8552 2030.